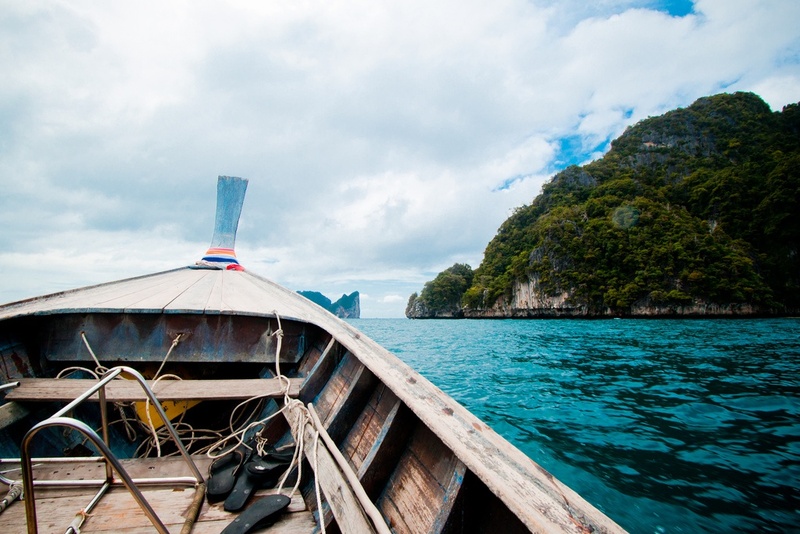 Thailand is an epitome of natural beauty with its serene beaches, azure greenery, and vibrant culture. Travelers have been immortalizing the eternal beauty of this island country in photographs since ages, and it all gets better with time. While everyone wants to see the best of the country but Thailand beauty is so widespread that it often becomes difficult to experience everything in one trip. We bring you the best things to do in Thailand that you must not miss, irrespective of the duration of your trip. Following is the list of most amazing things to do in Thailand. When you reach Thailand, in all possibilities the capital city of Bangkok will be your first destination. The city is every bit the perfect place to start your Thailand travel exploration. Experience the 150-year-old Grand Palace home to the Wat Phra Kaew temple, Bangkok is full of cultural and modern attractions. It is a city with the perfect mix of magnificent shopping arcades and adrenaline fuelling nightclubs too. The people though always in a rush, come around as friendly, warm, and always ready to help. No, doubt this is among the most amazing things to experience in Bangkok, Thailand. Surrounded by limestone cliffs, Railay is a small but incredibly beautiful peninsula glittering with astounding white sandy beaches. A perfect destination for laid-back beach lovers, it is the place for sun baths and walking on the shoreline. For the adventurous souls, Railay offers a power punch of activities such as whitewater rafting, Kayaking, Elephant trekking, snorkeling, and cave exploration at the Diamond Caves. If you love adventure and want to explore nature, this place is the best to visit in Thailand. A beautiful valley cozily nestled amongst the tallest mountain ranges of Thailand, Pai is a haven for nature and adventure lovers. It is a favorite place of trekkers, mountain climbers, and bike enthusiasts, it is also home to rare hill tribes that still preserve their ancient culture and traditions. Come to Pai for hot springs, elephant camps, and crystalline waterfalls. The valley of Pai is everything you’d expect and still has the ability to blow your mind with its simplistic beauty and natural charm. In fact, the calmness of Pai in itself is a good enough reason to apply for Thailand visa. The charming village has everything for a hungry explorer. 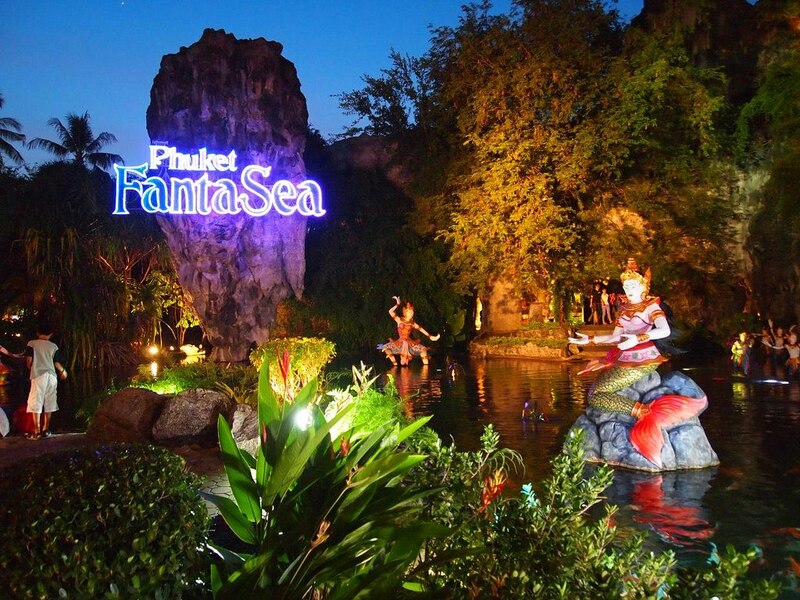 This place attracts travelers from all over the world, making it among the most visited places in Thailand. Sitting on an extinct volcano, the shrine of Phanom Rung is a Hindu temple. Built by the Khmer dynasty around the 12th century, the Phanom Rung temple is a visual delight of laterite and sandstone. It depicts the home of Hindu lord Shiva’s home- the mighty Mount Kailash. It is built with such astounding engineering that the Sun shines through its fifteen sanctuaries east- faced doorways only four times a year. This magnificent event is elaborated with huge light and sound shows in traditional Brahmin ceremonial festivities. 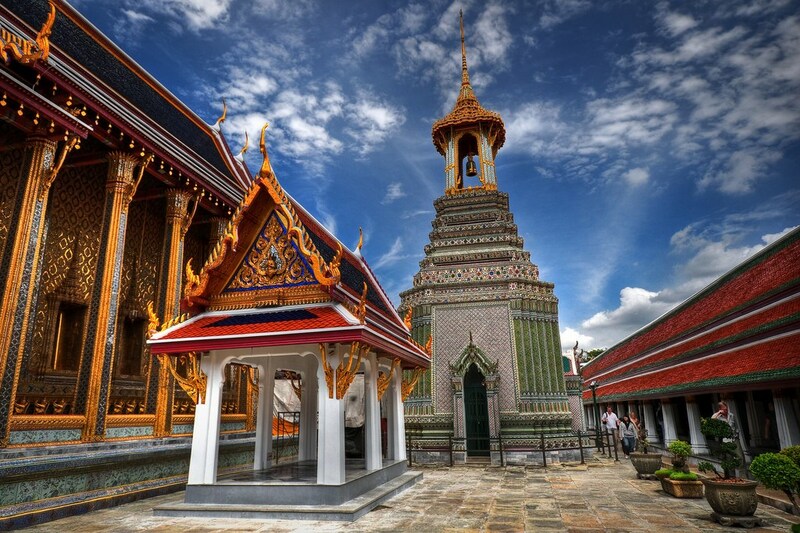 The temple visit is a must include itinerary in your trip to Thailand. If you are there, make sure that you visit this place. 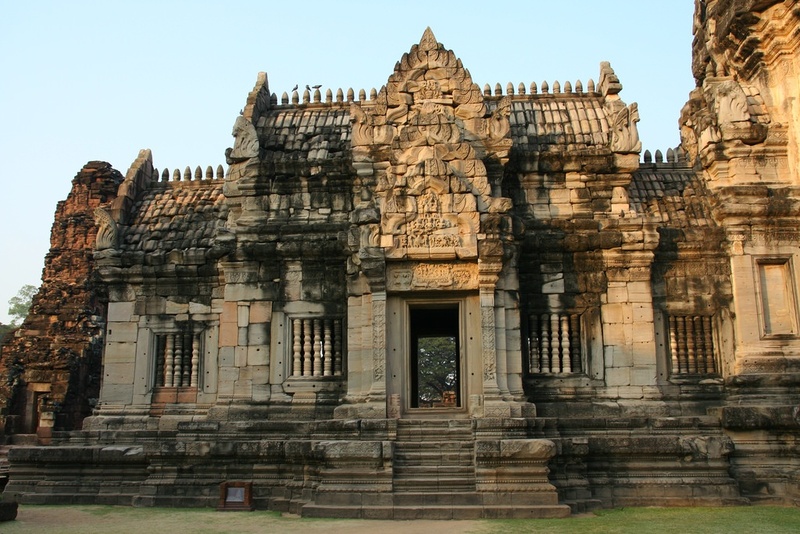 Phanom Rung is famous among the travellers as one of the best places to visit in Thailand. This beautiful island city of Thailand is now one of the most important political centers of the country. But the history of this magnificent places goes long back. The city of the Ayutthaya is connected by the Gulf of Siam. 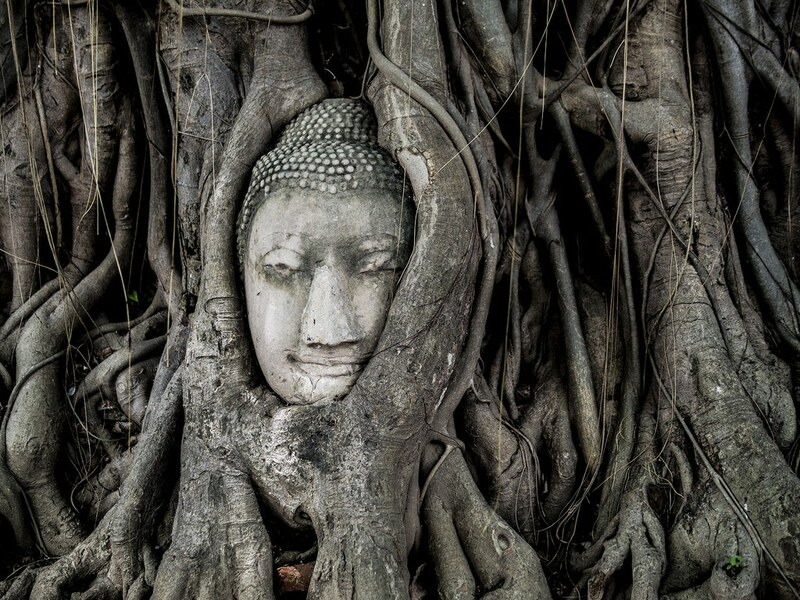 In fact, the ancient name of Ayutthaya was Siam for this very reason. Centuries ago, King U Thong made Siam its capital and constructed more than 400 temples on the land. Siam was once a glorious, religious city with over a lakh population but the Burmese invasion left Ayutthaya in ruins and Bangkok was made the capital. Although it is again gaining its lost political glory, a visit to the ruins of Ayutthaya is still considered to be one of the best things to do in Thailand. 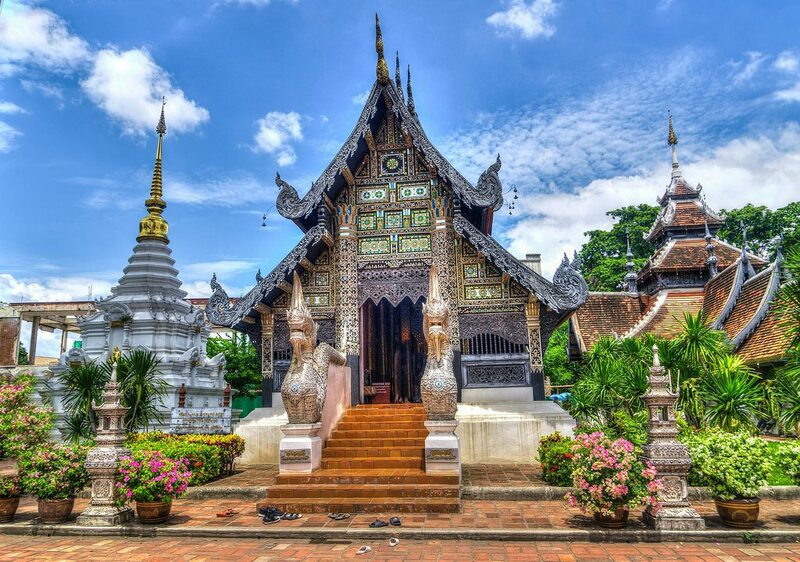 A city that allows you to understand the intriguing culture and history of Thai culture, Chiang Mai is a paradise of lush landscapes, ancient hill tribes, and historical Buddhist temples. The architecture of the city is a sight to behold and allows you to peep into the ancient mindset and their love for art. While in Chiang Mai, don’t forget to hog on the Sunday Night street market’s amazing local Thai delicacies. Fried bananas, pad Thai, Chicken Satay, Crab cakes and what not is at your disposal to pamper the taste buds. Ah, and it is one of the best places to pick up some local souvenirs for the loved back home too. All these things make it among the best things to do in Thailand. 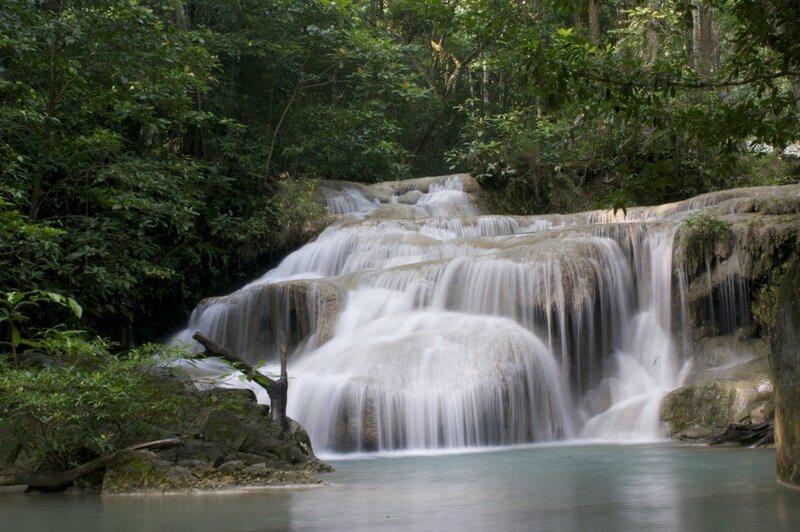 The city of Kanchanaburi is famous for its cultural attractions, natural beauty and the amazing national parks. It is also famous for the historic Kwai river bridge that was built by Asian laborers and WWII POWs. The city is filled with ancient museums and war cemeteries that exudes the historic past of Thailand from the ancient dynasties to the brutal invasions of the Japanese. The city is pretty close to the Erawan National park and Srinakarind National park to enjoy. The surrounding area to the city is home to various picturesque waterfalls, caves, and sights. Visiting this place is one of the best things to do in Thailand which every traveller must do. 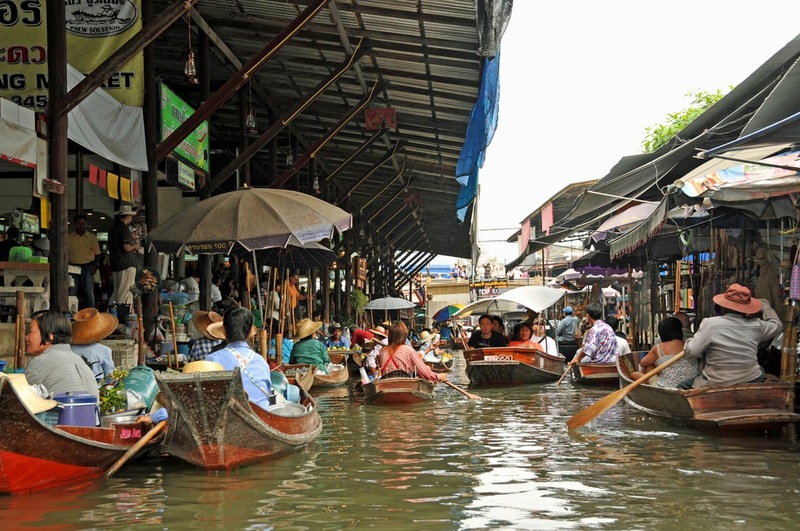 Thailand floating markets are one of the best-known features of Thailand, one of a kind market, it is a major tourist attraction of the country. Who won’t want to experience a floating market with boats, and rafts selling fresh fruits, greens, snacks, and local Thai specialties? To enjoy the floating market experience, get on damnoen Saduak and Amphawa decks early morning in Bangkok and enjoy what can be termed as once in a lifetime experience. The ambience of this place will mesmerising you. This makes it among the best places to visit in Thailand. Among the best things to do in Thailand is to visit this amazing place. 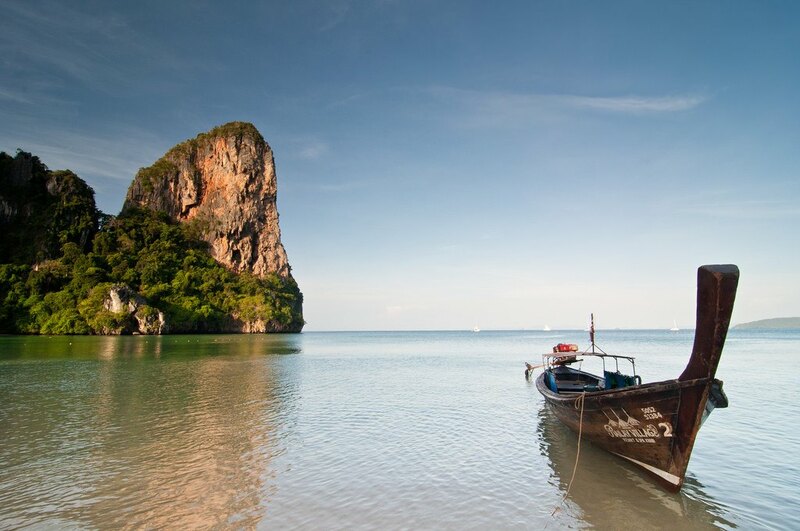 The islands off the Thailand’s coast are immersed with natural beauty and astounding scenery. These islands also boast of a thriving party scene for the party lovers. Ko Samet, Ko Samui, Ko Chang, Ko Pha Ngan, Ko Phi Phi and more are happening party destinations for tourists and locals of Thailand. While on your trip to Thailand, a visit to experience the natural beauty, magnificent green-blue waters, and a little of the party scene makes for a perfect inclusion in your itinerary. No doubt, visiting Phuket is among the best thing to do in Thailand. One of the most famous destinations of Thailand world over, Phuket is a mountainous island, full of lush rainforests and home to the most popular beaches of Thailand. It is also the ideal destination for the uber-rich as the island has world’s best high-end resorts, spas, and is known for remarkable all-night beach parties. 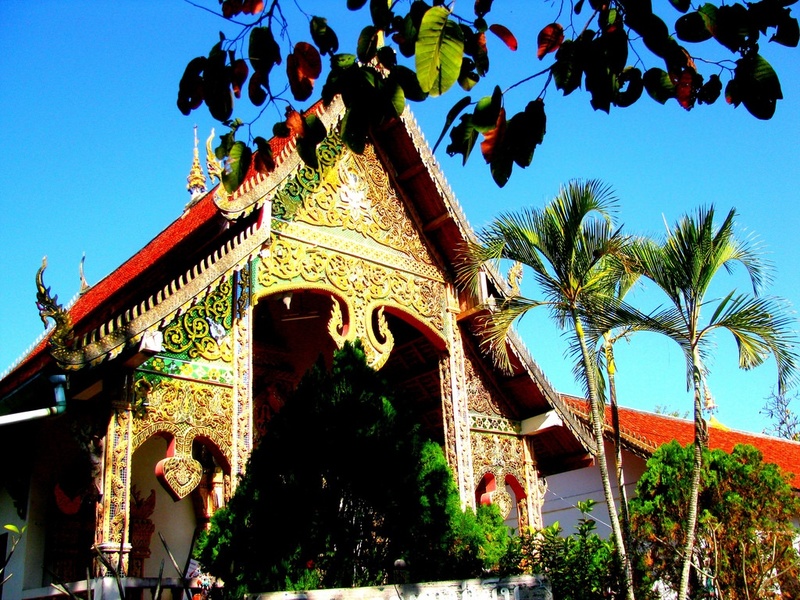 Although the real meaning of Phuket is silent, the island is nowhere close to quiet. It is vibrant, thriving and always awake. Home to fabulous beaches, and delectable food, Phuket is every bit a must-visit. Thailand is a tourist delight. Fun loving friendly people with deep-rooted cultural ethnicity and remarkable adaptation to the modernity of the advanced world, Thailand is a destination that grows on you. It has something to offer to everyone and that’s what makes it a must- visit. As a Mass Comm post graduate, Neha naturally has an artistic take on everything about life. This is quite evident in her writings as well. An avid trekker, explorer and a true foodie; Neha finds happiness in small endeavours of life and loves to pen them down as a cherished memory. A firm believer that “we have just one life to live and so much to do”, Neha lives every moment to the fullest. I saw you tweet about travel and I thought I’d checkout your website. Looks like FoodRavel has come a long way. Keep up the good work. F*ckin’ awesome things here. I am very glad to peer your post. Thanks so much and i’m looking forward to contact you. Will you please drop me a mail?